Handcrafted in the UK by skilled craftsmen using our finest genuine leather. 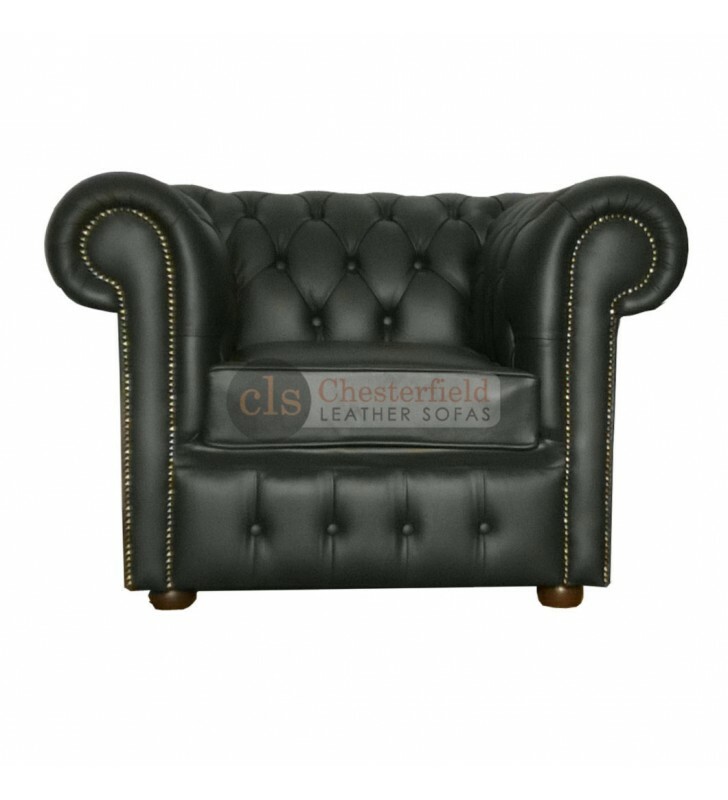 This trendy Black Leather Chesterfield Clubchair will create a statement in any room. The low back curved arms with stud beading and supported on the mahogany wooden feet, will supply you with a lifetime of comfort.